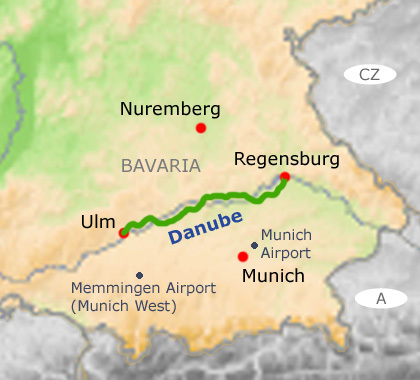 In brief: Do you dare to cycle Bavaria? The land of pot-bellied folk in leather trousers who party at large festivals and are ruled by a mad king? Well, we can assure you that at least the cycle paths are safe. 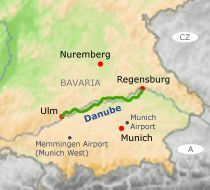 Follow us on our guided cycle tour along the Danube through unspoilt countryside and charming little towns; or charming big towns, such as Ulm with its fishermen’s quarter or Regensburg with its medieval city centre. We invite you to cycle the paths that only our guides know and to dine at places that only locals go to. Take a hot bath at springs that the Romans already used for relaxation. After all, expect a (slightly) demanding but no less rewarding week of cycling through a wonderful part of Germany.